The jury in the trial of a 50-year-old farmer charged with murdering his alleged love rival and hiding his body in an underground tank will return to the Central Criminal Court for a fourth day of deliberations on Friday. Patrick Quirke (50) of Breanshamore, Co Tipperary has pleaded not guilty to the murder of Bobby Ryan, a part-time DJ going by the name Mr Moonlight. The jury in the trial of a 50-year-old farmer charged with murdering his alleged love rival, and hiding his body in an underground tank, will continue their deliberations on Thursday. Courts News Ireland wishes you a Happy Easter. Full coverage resumes when the Higher Courts return for Easter sittings, beginning on April 29th. The jury in the trial of a 50-year-old farmer charged with murdering his alleged love rival and hiding his body in an underground tank have paused their deliberations for the night and will resume on Wednesday morning. Earlier, Ms Justice Eileen Creedon told the jury of six men and six women that they must not by influenced by emotion, sympathy, anger or disgust, and must treat circumstantial evidence against the accused with care. 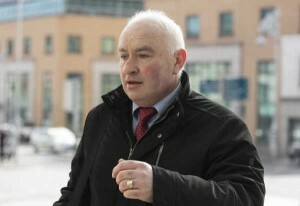 The evidence against Patrick Quirke amounts to no more than suspicion and is not enough to convince a jury that he killed Bobby Ryan, a defence barrister has told the love rival murder trial at the Central Criminal Court. Bernard Condon SC also criticised the garda investigation and told the jury they had been given substandard evidence due to failures in the investigation.